The young songwriters and producers called Zachi and Chris make up the band ItaloBrothers. Zachi (Zacharias Adrian, 22) was born in Cologne and is now living in Nordhorn, the place where Chris (Christian Müller, 25) and their singer Matze (Matthias Metten, 18) were born and still reside as well. Zachi and Chris met in 2003 at the university for music in the Netherlands. At an early stage they recognized they were a good team when they were writing and producing rock and popsongs. Both of them gained experience working in different sort of bands. On their way to some businessmeetings they discovered their love for electronic music. They then decided to found a musicstudio for different music projects in Nordhorn where they were working as a songwriting and production team already. 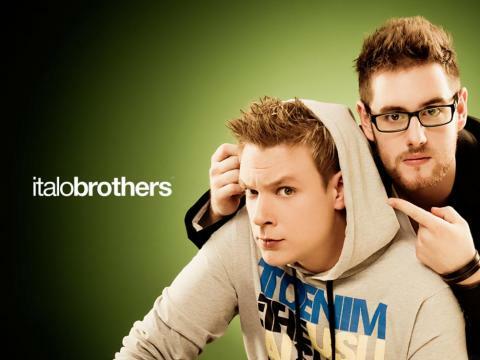 Their dream to work on an Italodance project came true when they started the Italobrothers in November 2005. Since March 2006 the ItaloBrothers are working together with famous producers like Dj Manian & Yanou (Cascada, TuneUp!, Marco Juliano,...). Their label Zooland Records will release the ItaloBrothers-Tracks in the future. In April 2006 they recorded their first single "The Moon" , for which Matze lent his voice for the first time. Working in a group of three with Matze as the singer of ItaloBrothers worked out great, so they decided to incorporate Matze as a constant member of the ItaloBrothers. He will sing most of the ItaloBrothers songs and remixes in the future.